Throwing a party? 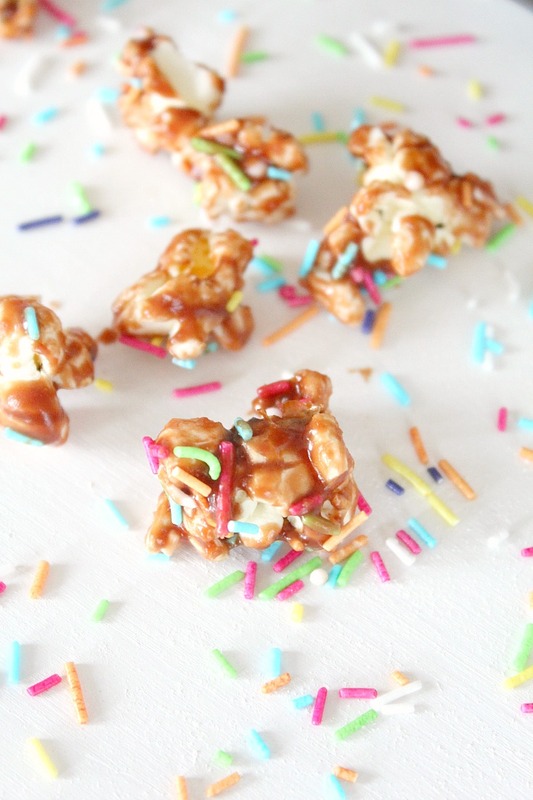 Make an easy and festive treat like this Chocolate Covered Popcorn, with fun, bright sprinkles and crunchy pretzel. Perfect as a Christmas treat too! 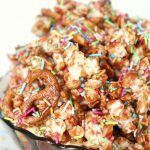 I never thought that I’ll become a popcorn person but with so many family gatherings and parties going on this season, popcorn made the top of the list for fun, easy and quick treats or snacks. 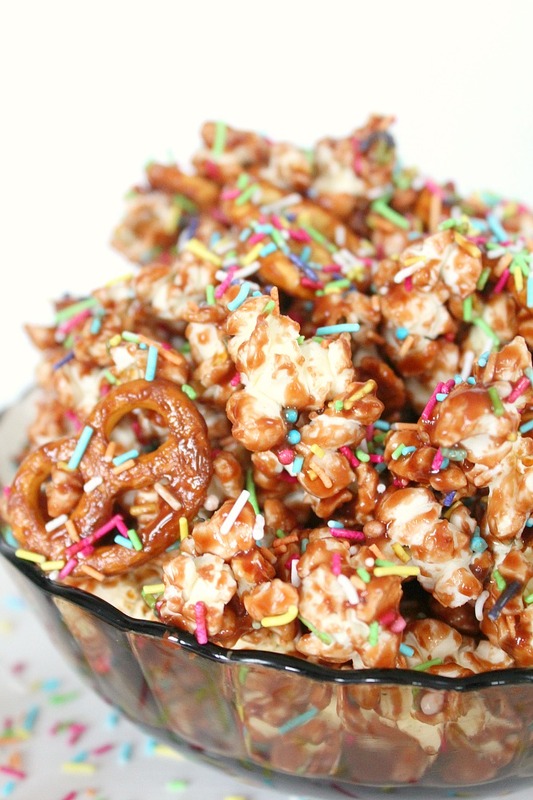 This Chocolate Covered Popcorn is one of the best treats ever! Simple but oh, so delicious! 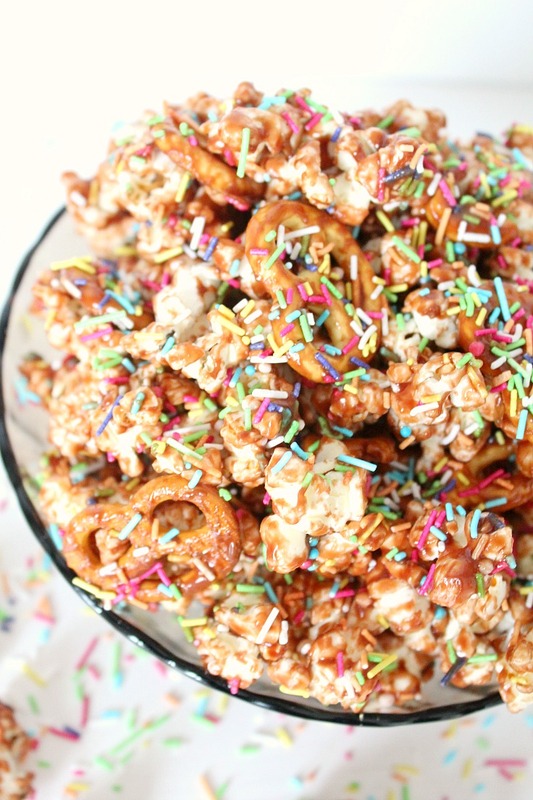 Not many combinations can beat the salty, sweet and crunchy in this recipe. And the sprinkles? They add so much fun and cuteness! Make this Chocolate Covered popcorn in milk or white chocolate, add various shapes of sprinkles, or use a mint flavor for a more Christmasy feeling. In 5 minutes you’ll have a yummylicious snack that doubles as dessert too! The only problem with this treat is that it gets so addictive so yeah, it’s not a good idea to have all those ingredients around the house like all the time. You’ll most likely end up making batch after batch! And guess what? This can be used as gifts too! Just put some in cellophane baggies, add a cute ribbon and you’re all set! I think they’re super cute, I actually have a crush on these which you can probably tell by the overwhelming number of photos! Place popcorn in a roomy bowl. Prepare a large baking sheet by lining with baking paper. Melt the chocolate over low heat, slowly adding the milk until well incorporated. The chocolate should be runny. 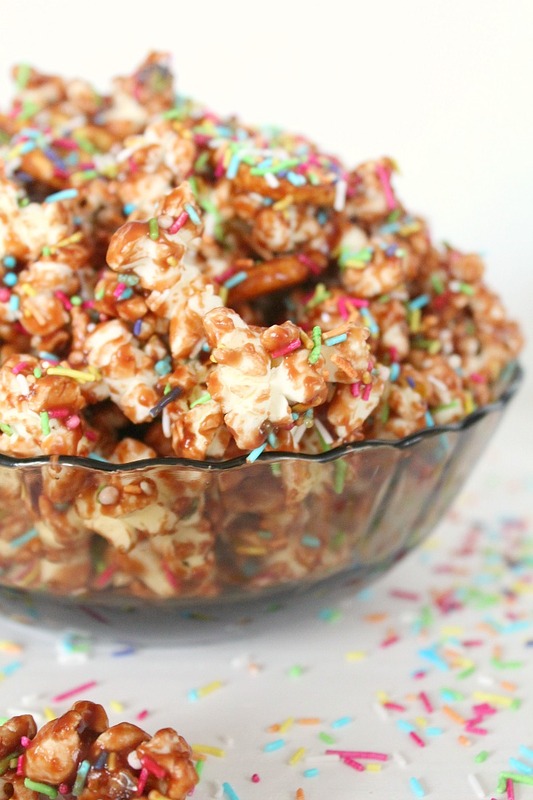 Drizzle half the chocolate over popcorn and immediately add 1/3 of the sprinkles. Toss gently with a rubber spatula to get the popcorn lightly covered in chocolate. Don’t over stir or your sprinkles might melt. Add the rest of the chocolate and 1/3 of the sprinkles and toss again. Place the mixture on the baking sheet, separating the popcorn pieces. Add the rest of the sprinkles and transfer to the fridge. 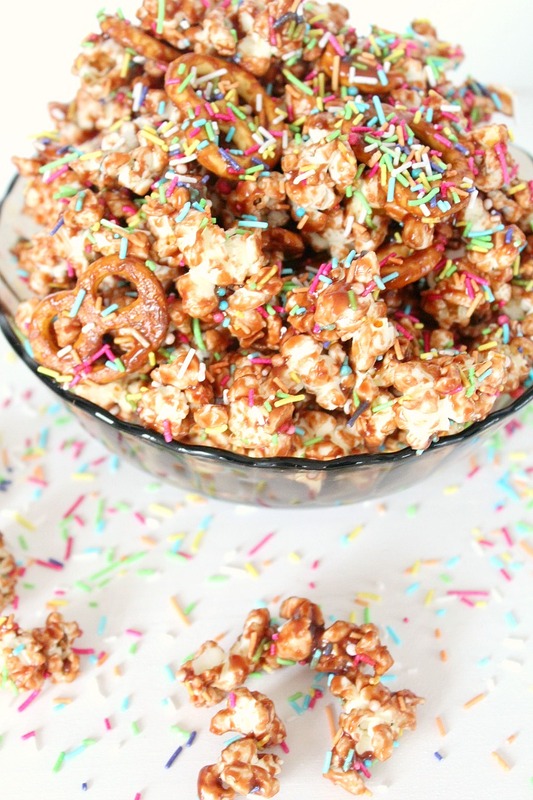 Drizzle half the chocolate over popcorn and immediately add 1/3 of the sprinkles. Toss gently with a rubber spatula to get the popcorn lightly covered in chocolate. Don't over stir or your sprinkles might melt. I am a popcorn person! so thanks for this yummy recipe! Thank you so much Claudia! Have a wonderful day!